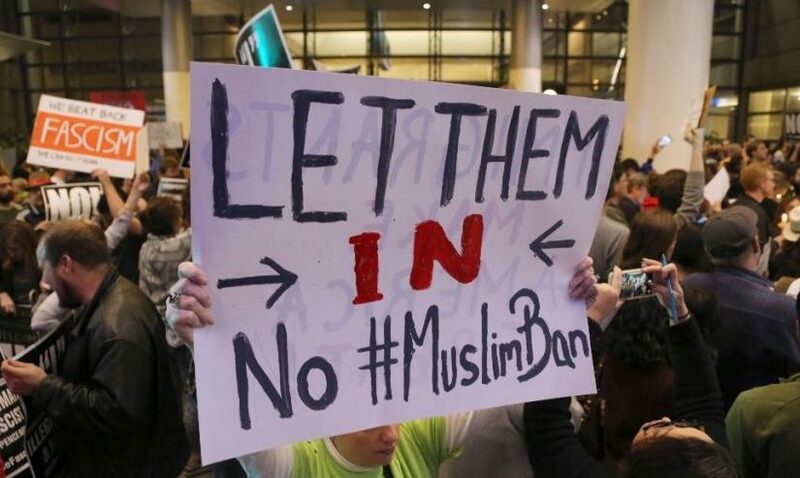 ADC (The Arab American Anti-Discrimination Committee) has released valuable practical information on the details of the latest version of President Trump’s travel ban targeting six Muslim majority countries. Notably, they offer resources to those, including students, who are or might be affected by the executive order. If you or a loved one will be traveling to the United States during the ban, you may send traveler information to us at the American-Arab Anti-Discrimination Committee (ADC) so that we can ensure someone is looking out for your rights. Please use the form here to submit traveler information. The ban will suspend entry and visa issuance for nationals of Iran, Libya, Somalia, Sudan, Syria, and Yemen who lack a “bona fide relationship with a person or entity in the United States.” The Department of State has released additional information on the implementation of the ban, summarized below. To establish a “bona fide relationship” with an individual, you must have a close familial relationship with a person in the United States (this includes parents, spouses, children, adult children, sons-in-law or daughters-in-law, or siblings.) This does NOT include grandparents, grandchildren, aunts, uncles, nieces, nephews, cousins, brothers-in-law or sisters-in-law, fiancés, or other extended family members. To establish a “bona fide relationship” with an entity, you must demonstrate a formal, documented relationship formed in the ordinary course rather than for the purpose of evading the Executive Order. This includes current or accepted students who provide documentation of their enrollment at a U.S. university or institution, workers who have accepted and provide documentation of an offer of employment from a company in the U.S., and lecturers who have been invited to address an audience in the U.S and provide documentation of this formal arrangement. This suspension of entry and visa issuance will last for 90 days. If you are already inside the U.S. or currently hold a valid visa, the suspension will not apply to you even if your visa expires or you leave the U.S. For those who are NOT exempt as described above, waivers still may be granted on a case-by-case basis where consular officers determine that denying entry would cause undue hardship, entry would not pose a threat to national security, or would be in the national interest. The U.S. Refugee Admissions Program (USRAP) will be suspended for 120 days, except for cases where an applicant has a credible claim. For a more complete explanation of the ban and its exceptions, please see this document, created by the Penn State Law Center for Immigrants’ Rights. For further information on how the ban will specifically affect students, please see this document, created by ADC in partnership with the Penn State Law Center for Immigrants’ Rights.